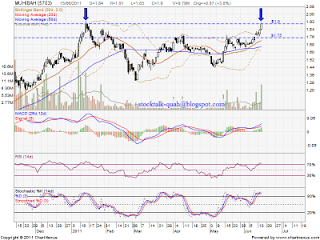 As today, 15 June, MUHIBAH retest RM1.90 high. Will it break up this resistant level? Or retrace down? If retrace down, it might retest RM1.75 support level which is bolinger middle band. 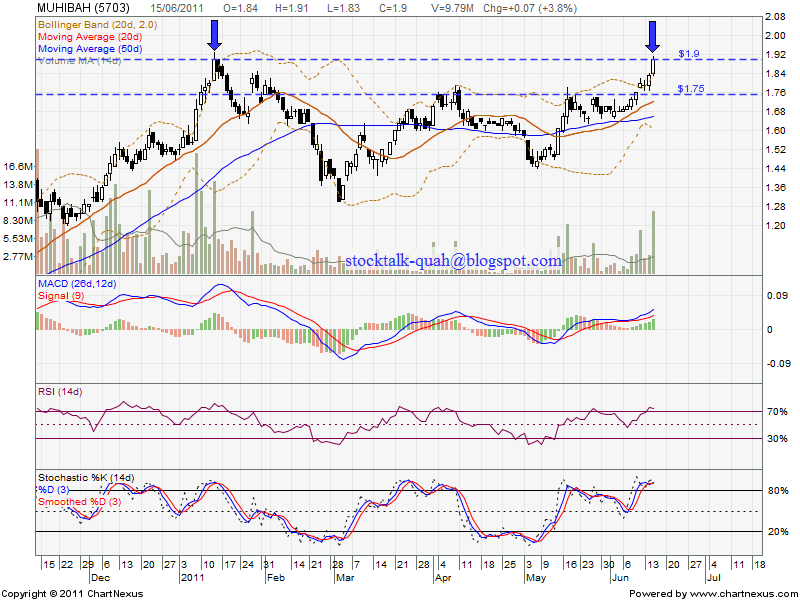 However, if able break up RM1.90 level, next resistant is RM2.00 psychology resistant level. muhibah akan naik sebab anaknya favco dah naik banyak.